The legend of the goatsucker has long been told in small towns across Texas, Mexico, and South America dating back to 1975. Stories of the creatures hunting by night, tearing the throats out of livestock before drinking their blood until their corpses are left dry, run rampant between farming communities that demand answers. Once these reports started to sway away from animal prey, and started involving human attacks, a monster hunter is called in to investigate and solve the problem before it gets too out of hand. One of my favorite things about this series is the way they feed you history of the cryptid in such a seamless fashion. They never make the reader feel as if they are being sucked out of the story for a quick history lesson that is required to catch them up to speed incase they are unfamiliar with the creature the issue focuses on. 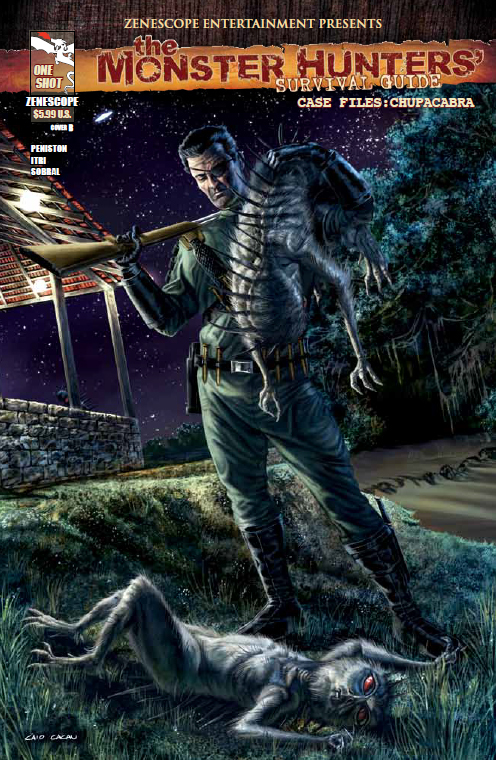 Cryptozoology fans will quickly find themselves falling in love with these Case Files issues, those who are new to the series should seek out the Monsters Hunters Survival Guide volumes to find out how they can survive an encounter with various cryptids themselves as well. The story itself reminds me heavily of the television series Supernatural due to the subplot of the hunter worrying about the fact that his teenage daughter has taken an interest in following in her fathers footsteps and becoming a hunter. The network of monsters hunters spanning the globe on cases really gives off a similar vibe that I highly enjoyed as a fan of the Supernatural television show. The writing can be somewhat dry at times, but it really ads an extra level of depth to the main characters personality, much in the way Kolchak from the Nightstalker comics is infamously known for his quirky sense of humor. The story moves at a perfect pace and features some authentically jaw dropping moments once the action picks up. After finishing this issue, as a fan of the survival guides that came before, I am really look forward to future issues of this series. I also really love the art direction in this issue; the artist’s rendition of the famous cryptid is really a sight worth seeing. The perfect blend of humanoid and canine features, create a visual that screams a new subspecies of werewolf/vampire hybrid. This issue also includes previews of an upcoming case file issue for Sasquatch, as well as a sample of the Chupacabra’s segment of The Monsters Hunters Survival Guide TPB. 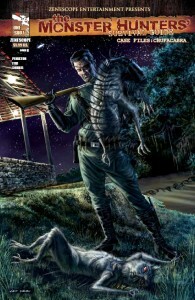 If you are a cryptozoology or horror fan I highly recommend picking up this comic as well as the Monster Hunters Survival Guides that are currently available from Zenescope, also be on the look out for more news about an upcoming Monster Hunter Survival Guide movie said to star action superstar Dwayne “The Rock” Johnson.